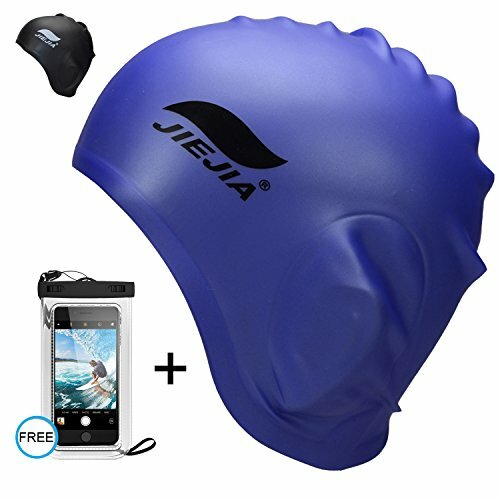 The best swim cap to cover ears for men women and adult. 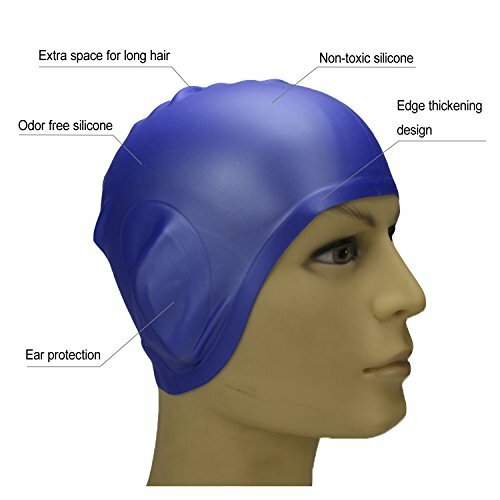 Do you know our swim cap to keep hair dry? 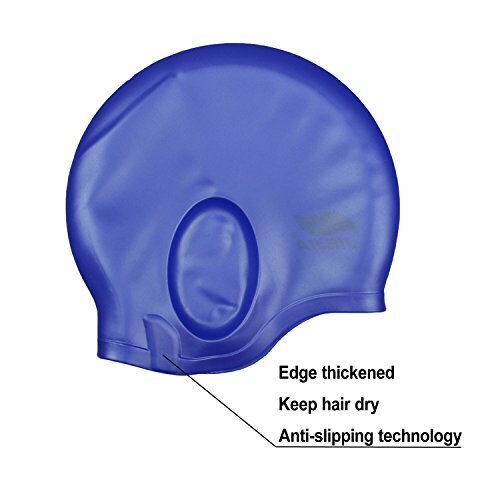 Our swim cap for long hair is made with silicone latex free materials, which not cause skin reactions and allergies! 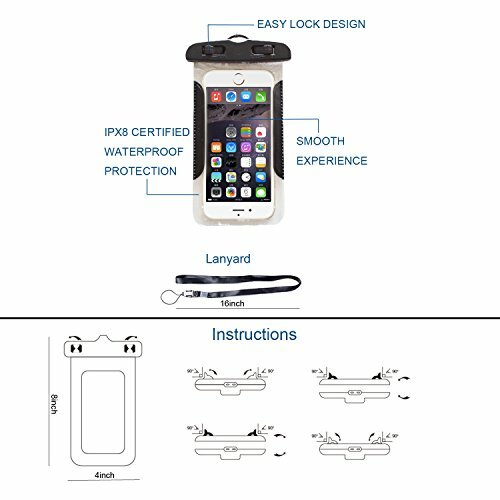 It comes with unique cap edge double design and provide ear protection! The swimming pool cap should be tight, but it is comfortable when you put it together. Any wandering hair can be rolled under the large swim cap. 1.Hold your swimming cap with both hands, make sure your finger is inside the hat, and the thumb is on the outside. 2.Then start from your forehead, pull your hat on your hair, and head toward the neck of the neck. 1.Rinse in cold fresh water after every use. 2.Don't leave exposed in direct sunlight. 3.Wipe dry inside and outside immediately. 1.If you have long hair, please roll your hair into a bun upward and tie it with a little rubber band before you put on the swimming caps for women long hair. 2.Do not wear sharp items, please avoid sharp objects such as fingernails or hairpin so as not to hinder or tear the material. 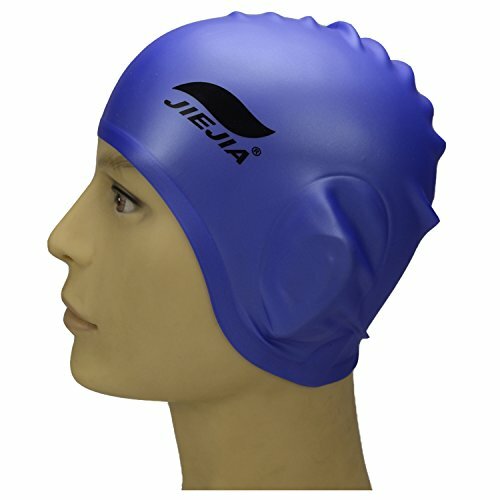 3.The swim caps for men or women contains white powder, please buyers do not misunderstand, because the silicon swim caps will be placed for a long time and sticky together, white powder will prevent the paste. 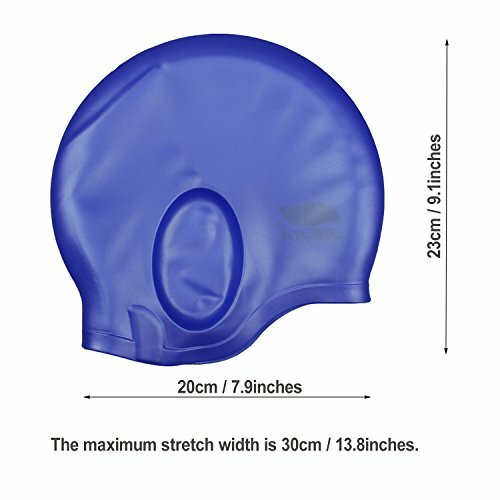 Our swimming hat for women or men comes with FULL MONEY BACK GUARANTEE! If for any reason you are dissatisfied with this purchase, we guarantee a hassle free full refunds, no questions asked! Join the thousands of our satisfied customers who swim and enjoy their recreation as you purchase this product! ADD TO CART NOW!